Invoice forms mainly come in handy when a person or an organization needs to raise a claim to their customer to pay the dues for the products or services offered to them. The form follows a format which makes the whole transaction easy to decipher and carry out. People who are not well versed with designing such forms can make use of blank invoice forms which contain all the important subheads and follow the required format. You may also see Sample Invoice Forms. 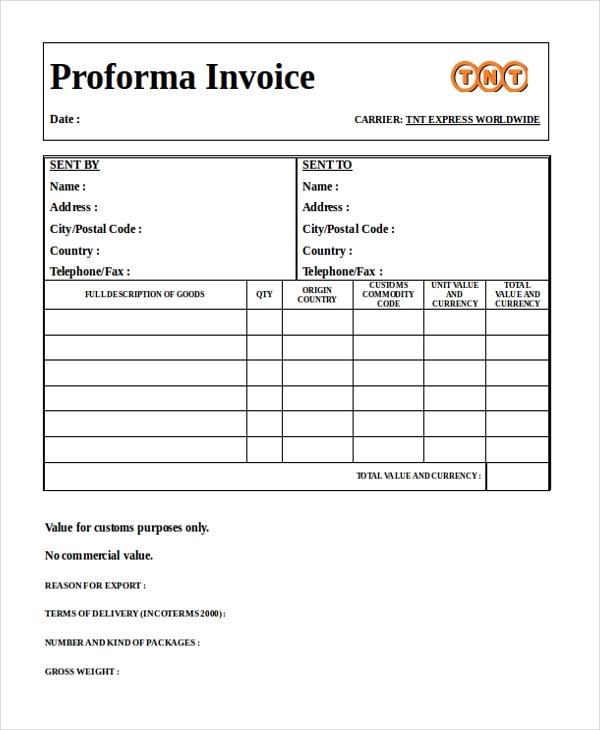 A commercial service provider can use this blank invoice form to design a unique commercial invoice form for the organization. Since the form contains all the important segments customizing it would not be a time-consuming task. 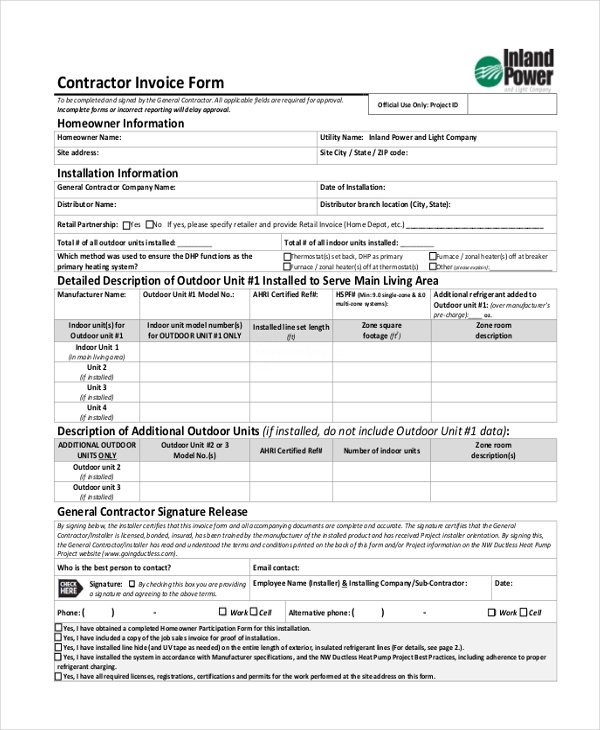 This blank contractor invoice form can be used by a contractor to design an invoice that he can use to raise a claim with his clients for the services offered by him. The form gives him an idea of what the format of his invoice should be. This is a standard version of an invoice form. It follows a set format making it easier for the user to design a unique invoice using it. The segments in the form can be altered or removed as per the need of the user. 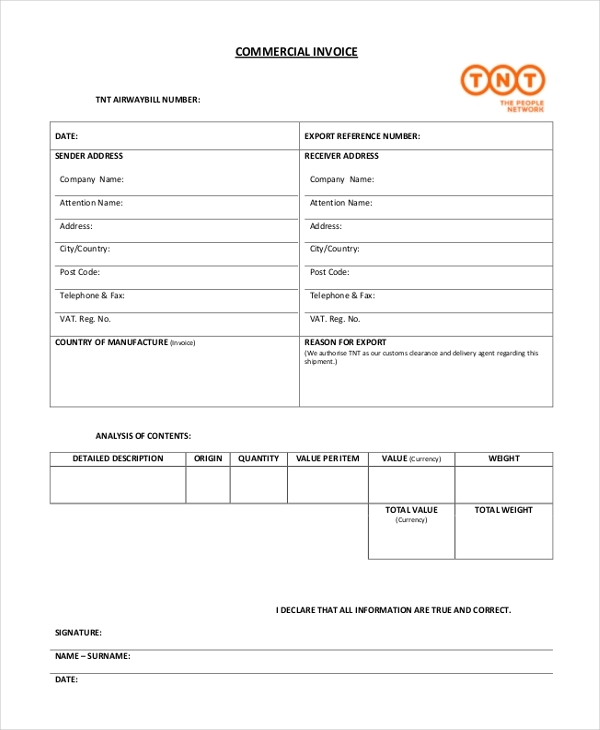 A person or agency that offers its services for repairing various products can use this form to create an invoice that will help in raising a claim for the amount that the customer needs to pay. 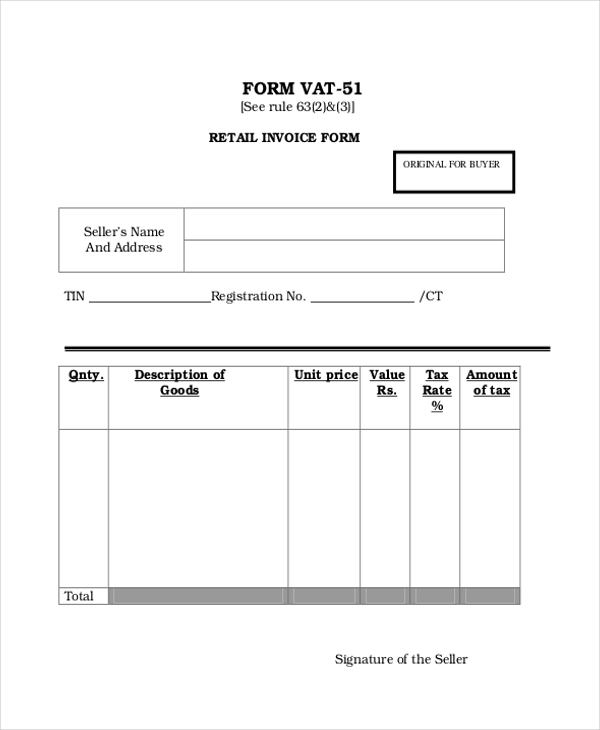 Any seller who agrees to sell his products to a customer based on certain terms and conditions can design a unique invoice using this form. He can alter the form by adding the terms of the transaction to it. 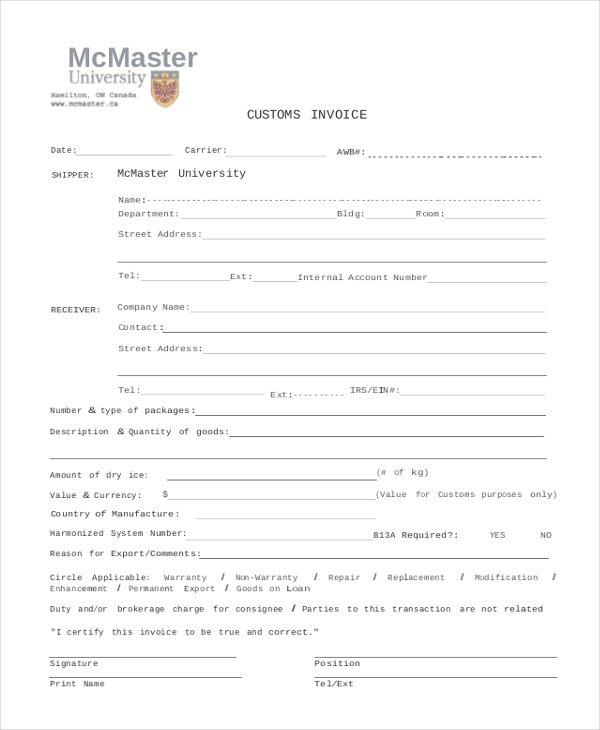 A business organization that offers its products and services to customers uses this form to design a perfect invoice which they can use to inform the customers about the amount that is payable. 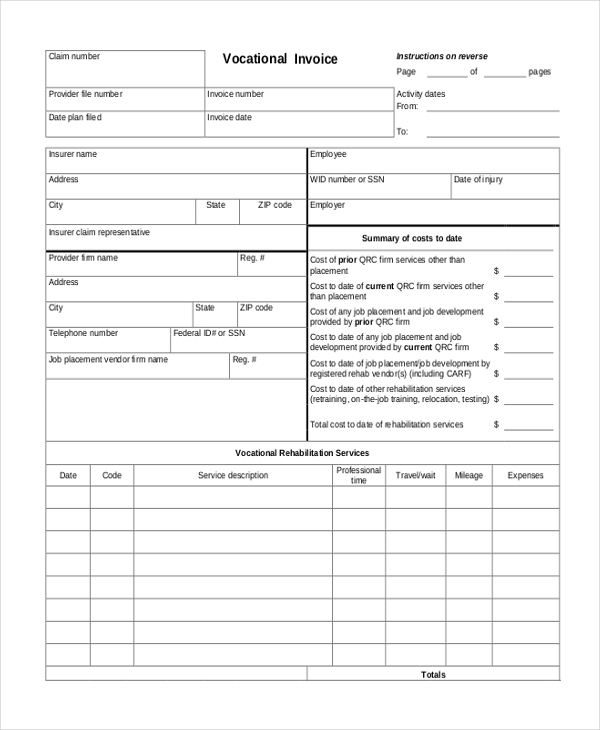 An organization or agency that offers vocational training or rehabilitation to the patrons can design an invoice using this blank vocational invoice. This form contains all the important subheads, which simplifies the job easier. A retail store or retailer who may want to design an invoice can use the blank retail invoice form for the purpose. The well thought of format makes it easier for the user to come up with a unique design in no time. What are the Benefits of Using Blank Invoice Forms? How to Format a Blank Invoice Forms? At the top, put in the name and logo of your company along with the contact details. Below this, create a segment where you can add in the details of your client. Follow this with a segment to list down the transaction details. Using a tabular format would be ideal. In the concluding part create a segment to add the seal of your organization and the invoice date. 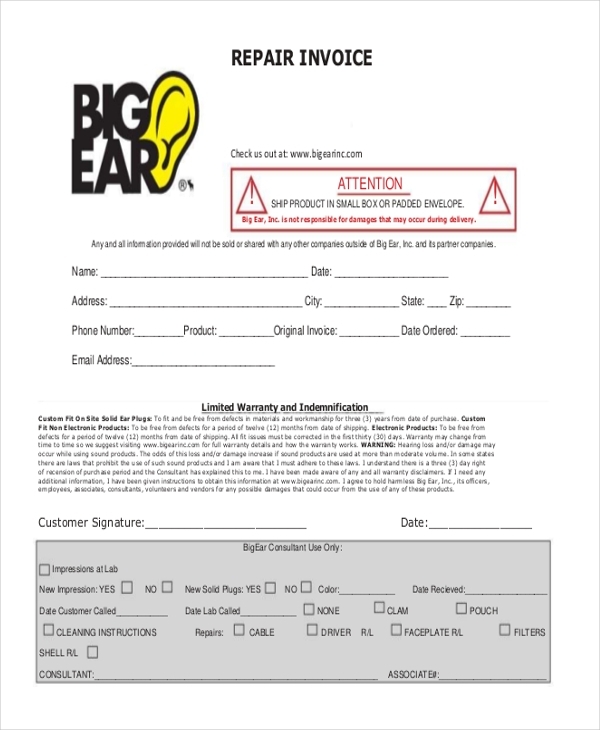 You may also see Blank Purchase Order Forms. Need some help to design an invoice? 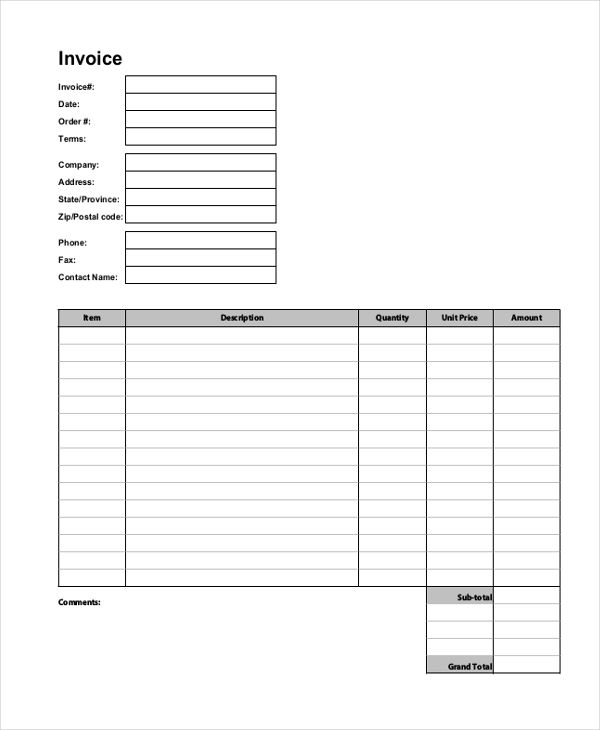 Check out our wide range of blank invoice forms to get some ideas and come up with a unique design. These forms are easy to download and are available in PDF and MS Word format. Easy to customize, personalizing the form is easy. You can also see Sales Receipt Forms.